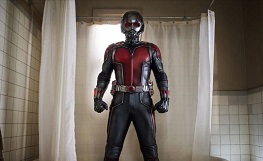 The Marvel Cinematic Universe continues to expand with 2015 action extravaganza Ant-Man, one that introduces us to another key member of comic book lore. 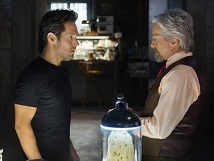 Actor Paul Rudd, usually best known for his comic performances in the likes of Anchorman, steps into the role of thief-turned-eponymous-superhero Scott Lang, who becomes the latest incumbent of a shrinking suit designed by wise scientist Hank Pym (Michael Douglas). It's not the most creative and witty of Marvel's output, certainly nothing to rival 2014's Guardians of the Galaxy, but with some enjoyable set-pieces and a well-chosen cast also including Evangeline Lilly, Michael Pena and Corey Stoll, it passes the time amicably enough. 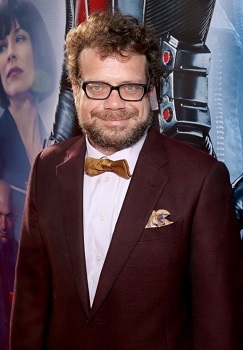 Where the movie does triumph is in the realm of its score, composed by the ever-busy Christophe Beck. The music was originally set to be written by Gravity Oscar winner Steven Price but he walked away when original director Edgar Wright (with whom Price worked on The World's End) departed the project over creative differences with Marvel. Whatever Price's score might have sounded like, it would have had a hard time topping Beck's terrifically inventive, retro effort, quite possibly the most playful and creative soundtrack within the MCU to date. Beck is a ubiquitous composer, perhaps best known for his work on Disney phenomenon Frozen, but the quality of the projects on which he works (very often low-rent comedies like Hot Tub Time Machine 2) is frequently lacking. Fortunately, Ant-Man offers a rich plethora of opportunities for him to really cut loose and demonstrate what he's made of. The composer takes his inspiration directly from the style of the movie, which is less of a crashing end-of-the-world epic and actually more a heist movie with a superhero at its centre. That should tell prospective listeners what they're in for: the score is a stylish and hugely enjoyable blend of 1960s espionage masters Lalo Schifrin, Jerry Goldsmith and John Barry, the rip-roaring "Main Theme" blending the percussive effects, jazz flutes and rhythmic approach of the former with the latter's smoothly enticing strings and Goldsmith's punchy, visceral brass technique. It's terrific stuff, almost certainly the greatest theme to grace a Marvel movie since Alan Silvestri's Captain America March back in 2011. Beck is faithful to the piece throughout the score, putting it through a number of variations and giving the score as a whole a credible sense of identity. From the somewhat portentous "Honey, I Shrunk Myself" (whose appropriately multi-faceted synth effects mirror the awe felt by Lang as he glimpses the world from a miniature viewpoint) to the grin-inducing surf rock vibe of "Ant 247" and the thrilling pastiche nature of "I'll Call Him Antony" with its Mission Impossible-esque rumbling piano/shakers/bass flute combo, this is a thematically intelligent score. It's also one that's filled to the brim with thrillingly propulsive action music, another hallmark of Schifrin and Goldsmith that Beck happily takes up. Tracks such as "First Mission" (containing a welcome statement of Silvestri's Avengers theme), "Old Man Have Safe", "Antfiltration", "Scott Surfs on Ants" and "Into the Hornet's Nest" raise quite a ruckus with their mixture of orchestral mayhem, throwback sixties touches (stylish flutes, snare drums et al), and bold statements of the central theme. The latter's trilling, John Williams-aping woodwind arrangements and bold horns are especially exciting. Even the lower-key tracks have something interesting going on, whether it's the ever-present strings scurrying about in a suitably ant-like manner, the tapping percussion of "Paraponera Clavata", the wondrous nature of "Tiny Telepathy" that emphasises the connection between Lang and his ant allies or the subtle synth undercurrent heard in "The Water Main". Meanwhile the brief "Signal Decoy" places the theme atop a bed of plucked strings, an effective texture to represent the movement of the film's ant protagonists. "CrossTech Break-In" is one of the score's more overtly modernistic pieces, juxtaposing the bongos and rumbling pianos against the electronic textures. 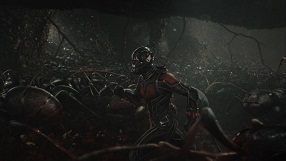 There's also a secondary piece weaving its way through the score that represents the somewhat tempestuous relationship between mentor Hank Pym and his daughter Hope van Dyne (played by Lilly), a much more overtly emotional theme that helps lend gravitas to the pastiche stylings heard elsewhere. 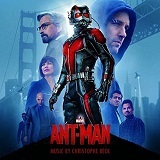 Tracks like "San Francisco 1987" (which cleverly, subtly alludes to the Ant-Man theme, hinting at the superhero Pym once was), "Your Mom Died a Hero", "Pym's Lab", and the dramatic "Small Sacrifice" are impressive in their sweeping nature, calling to mind previous Beck scores like Percy Jackson and the Lightning Thief. The stirring "Become the Hero" marks a shift, using Pym's theme in a different context as he passes the superhero baton onto Lang. Past the halfway point, the action material really starts to pick up as Scott, Hank and Hope are plunged into a battle against the villainous Darren Cross (Corey Stoll), a former mentor of Pym's who has stolen his technology and developed his own suit called the Yellowjacket. The furiously intense "Insecticide" is possibly the most Goldsmithian piece of the lot, one that generates a palpable sense of visceral tension. The racing strings and aggressive brass onslaught then carries over into the following tracks "A Center for Ants!" "Cross Gets Cross", ‘"Flight of the Bumblebee" and "Ants on a Train", all powerfully rhythmic and robust in their construction. Everything then comes to a rousing conclusion as Pym's theme gets a resonant statement in "Small Sacrifice" before a brief variation on the main theme in "About Damn Time" leads into the terrific finale "Tales to Astonish! ": a full blown, swaggering surf rock take on the Ant-Man theme replete with electric guitars and Hammond organs. It's enormous fun, calling to mind Brian Tyler's witty, Miami Vice-esque interpretation of his own Iron Man 3 theme, and further proof of the creativity coursing through Beck's score. As has been widely reported, the Marvel Cinematic Universe has had a checkered musical history with as many lowlights as highlights. 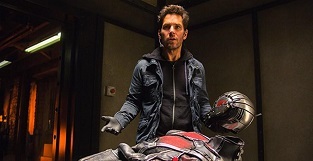 Christophe Beck's work on Ant-Man almost certainly falls into the latter category, establishing a witty, distinct personality of its own that helps lend the movie some real pizazz. Ironically enough, by drawing on a sense of retro nostalgia, Beck has created possibly the most original and memorable score within the MCU to date, further emphasising the heist movie storyline. Creatively put together and brilliantly orchestrated, it's an exciting, pacey listen – one of the best scores of the summer 2015 season that comes highly recommended. The score album is available from these links at the following stores - Amazon.co.uk and Amazon.com.